Guests Staying at the Resort Enjoy Full Access to Outdoor Water Parks, Heated Indoor Pools, Complimentary Hot Breakfasts & More! times, venue space, guest room accommodations, and catering needs. 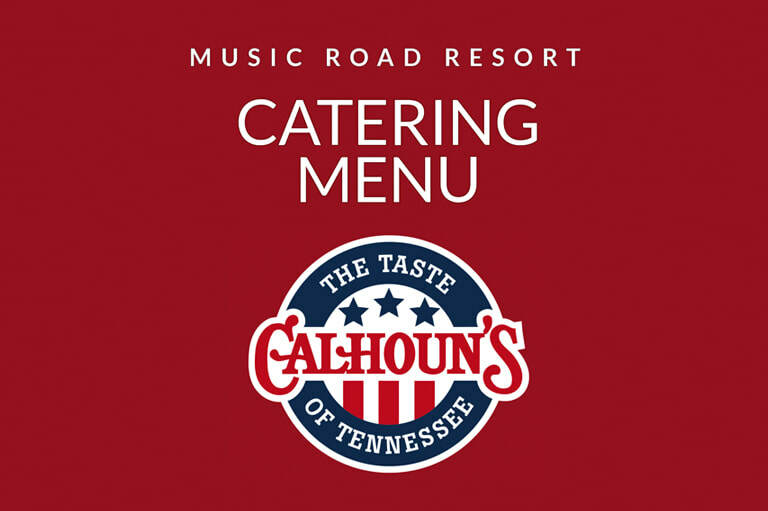 Planning a wedding in Pigeon Forge? 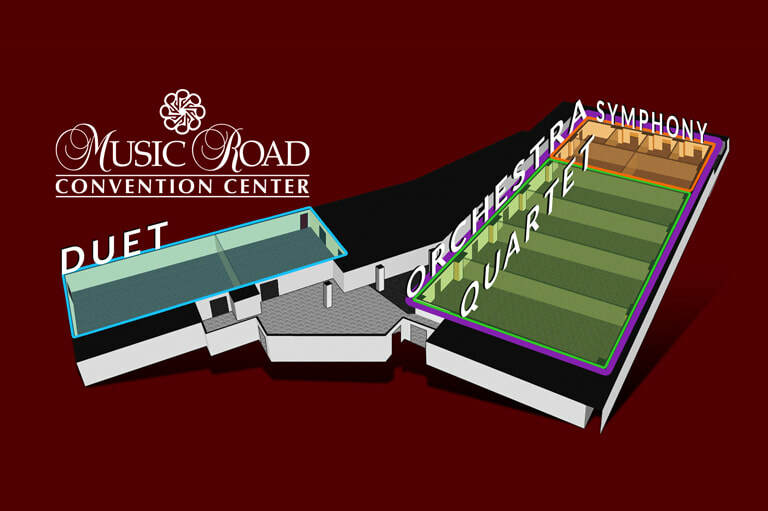 Music Road Resort offers the widest variety of outdoor and indoor options and luxurious guest accommodations. We have everything to make your wedding a special and memorable experience, from an on-site Event Manager, award-winning catering, resort amenities for guests spending the night, and the Honeymoon Suite is perfect for newlyweds! 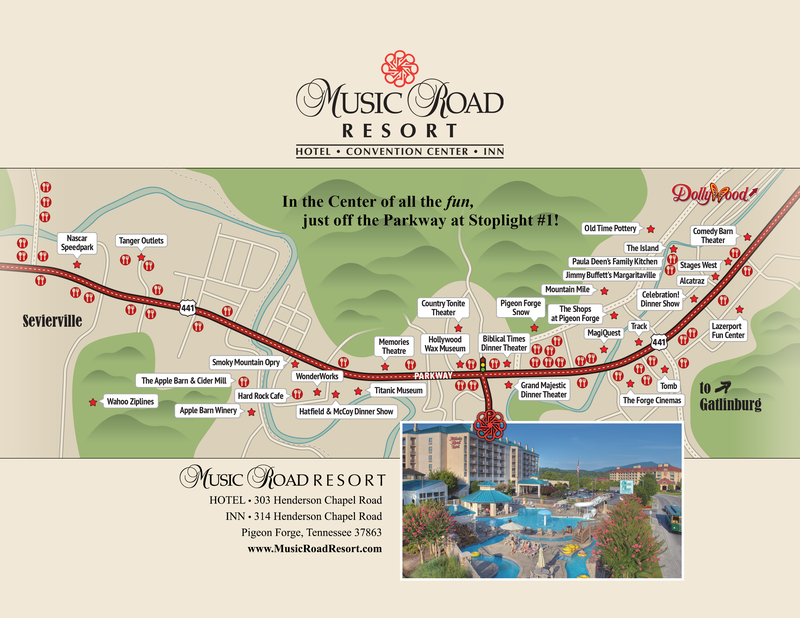 Music Road Resort is a spectacular place to hold your wedding. Our property is nestled alongside the scenic Little Pigeon River, and you can hold your event on our terrace overlooking this serene, natural landscape. Many couples have held wedding receptions inside our Convention Center, decorating their special event with everything from charming country style to extravagant design and décor. The look and feel of each event held here is completely up to the special couple. 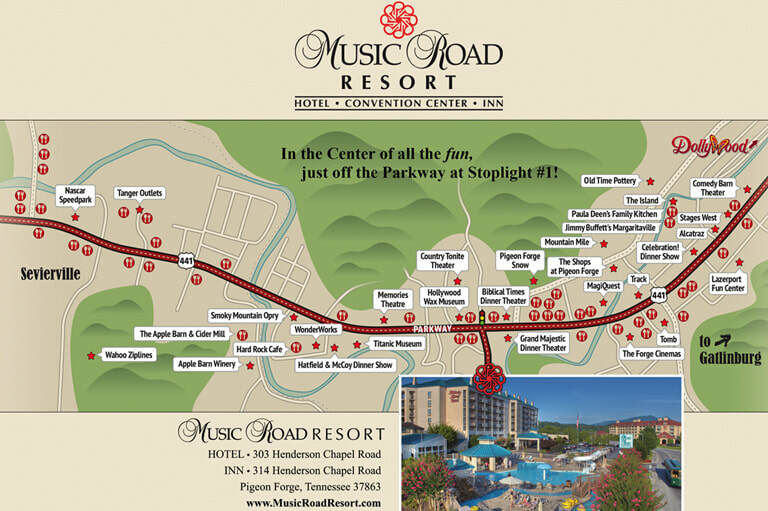 Music Road Resort offers all wedding guests luxurious accommodations, a complimentary hot breakfast every morning, and a location in Pigeon Forge that makes it easy to experience all that this exciting little town has to offer. Looking for a place to hold your event? Every detail for each event, from traditional occasions to extraordinary visions, is met with expert advice and coordination by our experienced staff. Every group of every size is important and valued. From cocktail parties and reunions to wedding receptions and religious celebrations, your time with us will be enjoyable, meaningful and stress free. 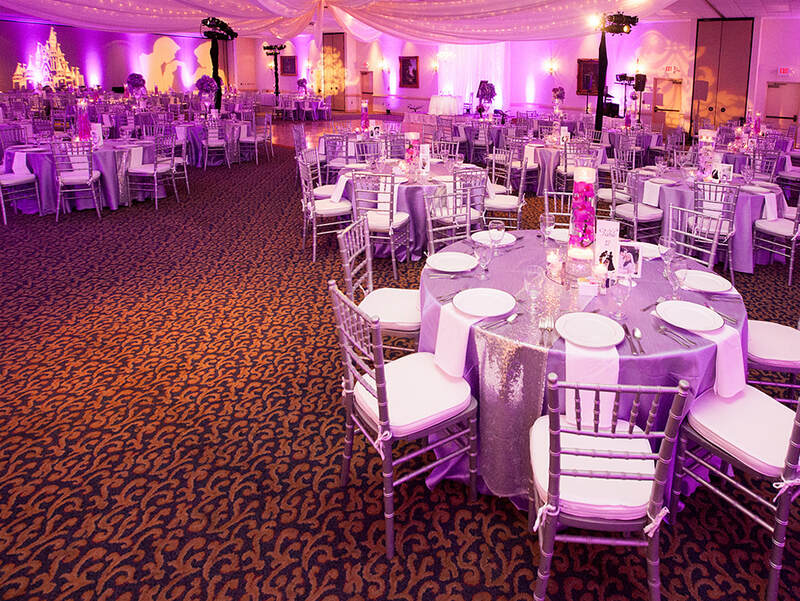 We strive to meet YOUR goals for any event. Need to reserve a space?